Download the Fall 2016 Series poster here. Mimi Thi Nguyen is Associate Professor of Gender and Women’s Studies and Asian American Studies at the University of Illinois, Urbana-Champaign. Her first book is The Gift of Freedom: War, Debt, and Other Refugee Passages (Duke University Press, 2012; Outstanding Book Award in Cultural Studies from the Association of Asian American Studies, 2014). Her following project is called The Promise of Beauty. She has also published in Signs, Camera Obscura, Women & Performance, positions, and Radical History Review. Nguyen was recently named a Conrad Humanities Scholar for 2013-2018, a designation supporting the work of outstanding associate professors in the humanities within the College of Liberal Arts and Sciences at the University of Illinois. Nguyen has made zines since 1991, including Slander (formerly known by other titles) and the compilation zine Race Riot. She is a former Punk Planet columnist and Maximumrocknroll volunteer. In June 2013, Sarah McCarry’s Guillotine (“a series of erratically published chapbooks focused on revolutionary non-fiction”) released PUNK, a conversation between Nguyen and Golnar Nikpour. Hirsch’s talk examines the Native American thinker, William Apess (Pequot), and especially his Eulogy on King Philip (1836), which argues, ironically, that King Philip–the seventeenth century Wampanoag leader who launched the bloodiest rebellion in New England’s history–ought to be embraced as an American pioneer and canonized as a founding father. Apess satirizes conventional founding narratives, even as he upholds the principles of freedom those narratives support. The effect of this irony is to interrupt and invert discourses of progressive history and American patriotism that underlie Manifest Destiny policies, in ways that open spaces for new historical accounts to surface and compete in a force field of agonistic powers. He argues that Apess’ ironic historical revisionism expresses a political theory of hope, one that he contrasts with representations of political hope by other nineteenth century Native American political thinkers, such as Plenty Coups (Crow). 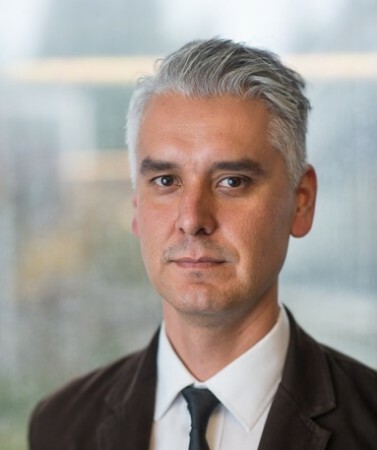 Glen Coulthard (PhD – University of Victoria) is a member of the Yellowknives Dene First Nation and an associate professor in the First Nations and Indigenous Studies Program and the Department of Political Science. 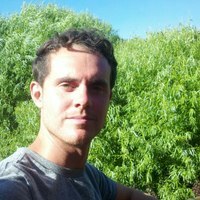 Glen has written and published numerous articles and chapters in the areas of Indigenous thought and politics, contemporary political theory, and radical social and political thought. He lives in Vancouver, Coast Salish Territories. Glen’s book, Red Skin, White Masks: Rejecting the Colonial Politics of Recognition (University of Minnesota Press), was released in August 2014 to critical acclaim. His co-edited book, Recognition versus Self-Determination: Dilemmas of Emancipatory Politics, was released in spring 2014 by UBC Press. He and Dr. Dory Nason were also featured contributors to the groundbreaking anthology, The Winter We Danced: Voices from the Past, the Future, and the Idle No More Movement (ARP Books), which was released to great acclaim in March 2014.